Pioneers in the industry, we offer very high bonding tape and rfid tape from India. We are manufacturer of Very High Bonding tape in Delhi. 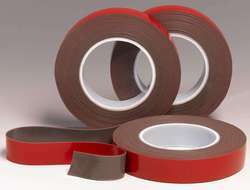 We manufacture of Very High Bonding tape in India. We are manufacturer of Very High Bonding tape in India.